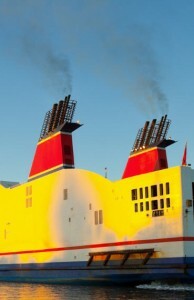 Marine Emissions Solutions | Premier Chemicals Ltd. In a world of rising calls for more stringent emissions control within the marine industry, cleaner burning engines and expensive after treatment technologies, what does Premier Chemicals Nano Fuel Catalyst division have to be bullish about? So far this year, the division has introduced the catalyst to Tfl Operators in London, expanded production in the UK and, more recently, engaged with key clients in the UKCS offshore industry about use of the catalyst to reduce fuel consumption and lower emissions across all gaseous emissions, Nox, Sox, CO, Particulate and CO2. What are talking about here is compliance with all current ECA emission standards and future proofing fleets, getting on the front foot of any future legislation on Co2 and particulate output. Our approach here at Premier Chemicals is novel, we are looking at pre-treating marine fuels with metal oxide nano particles so that the fuel combusts more completely within the engine. The effect of this more complete combustion, less emissions are created. Current emissions technologies at the moment are addressing the gases once they have been produced. That is why the only topics on the table at the moment are Nox & Sox. We have expensive sometimes cumbersome solutions to treat these gases. Until now there has been no reliable solution to lower CO & Co2 on the marine scale. We can lower all of these emissions and the client is doing this whilst reducing fuel consumption. Within the Marine industry we’re not at all concerned that the internal combustion engine will go away anytime soon. If you look at the way emissions regulations are developing, the marine industry will continue to face increasingly stringent regulations, and the regulations the industry will face will require our products. The business is preparing for a new wave of standards and regulation over the next decade with increasing production of the fuel catalysts. The current technology is able to meet current and future requirements allowing the industry to comply without wholesale fleet renewal or installing expensive after treatment technologies. In the future, the marine industry will be required to reduce emission of a fourth component — particulate matter. Due to the Premier Chemicals Technology maximizing a more complete burn, substantially less particulate matter is produced. That will represent a new era of technology and investment for Premier Chemicals Ltd and rapid global expansion. The company already has operations in Asia Pacific located in Singapore and views expansion in the US and China as key markets over the next 2-3 years. “We are continuously investing,” said Stephen Lyons, Sales Director. “As far as we’ve come, we still have plenty of opportunity to work with the marine industry to produce the best possible fuel and emissions performance.